Gouache Vs Watercolor: Which Should You Consider Working In? 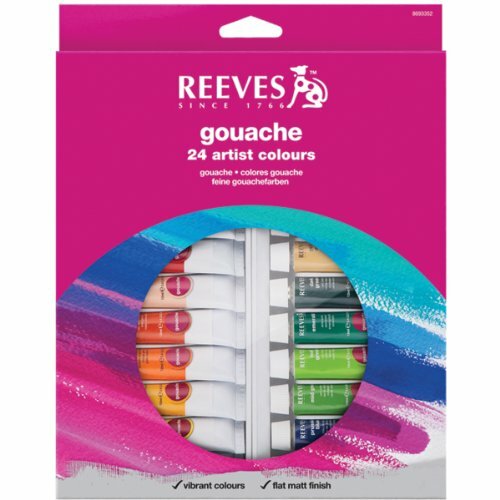 The word gouache is French in origin and pronounced very much like it sounds (“gwash”) The trickiest part has been spelling it correctly LOL 🙂 It also comes from the Italian word “gouazzo” which translates into “mud” – but don’t worry; it’s not like you may be picturing! The effects can be really stunning! But let’s look at the different qualities of both these mediums first. 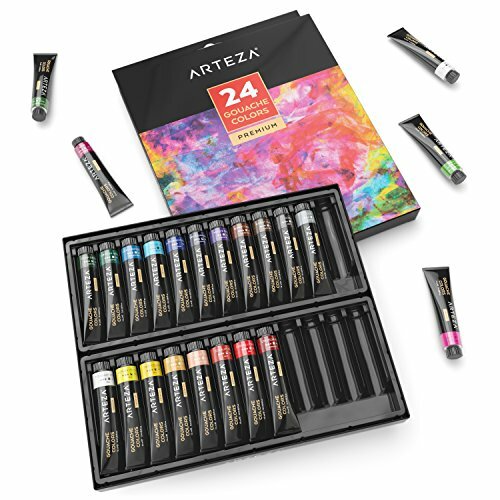 The supplies you’ll need for watercolors are pretty similar to what you’ll need for gouaches. First off, they are both water-based paints, and as such used on similar substrates, like cotton fiber paper. The paints of both these mediums can merge with the substrate as well. 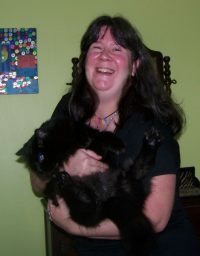 They can be re-moistened in the middle of a project as well, and both gouaches and watercolors dry with a matte finish. The paints’ makeup is pretty closely matched in composition too, with that of pigments, binders, and glycerin. Not surprisingly, watercolors and gouaches can sometimes be mixed together since their composition is so alike in ways. The binding formula differs a little…watercolors contain gum arabic and gouaches contain titanium dioxide which produces its opacity. Last of all these two mediums share a pretty long history dating back quite awhile. Not surprisingly, many of my favorite artists whose specialized in watercolor also had a good gouache lineup as well! The packaging in aluminum tubes is another particular. You can buy both of them this way in a set or color-by-color. 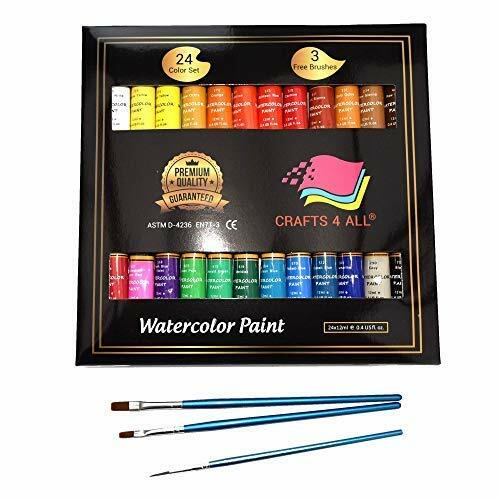 Watercolors sometimes come in “cake” form too; very similar to those little box thingys you may have grown up with, but the “professional grade” type have more square shaped cakes. Well, it a nutshell, the biggest main difference in gouache and watercolor is that the former is of an opaque appearance and application. Watercolors are known for their translucence allowing the artist a wide range of application styles involving sponges, “dry brush”, wet-on-wet, among many others. There are less fillers present which gives the paint its translucent quality. 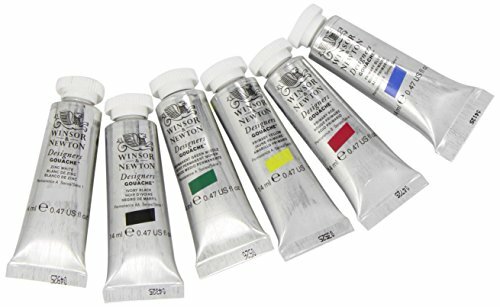 In fact, the term “opaque watercolors” is one given to gouache paints. One thing I remembered learning to do is using masking fluid – a technique by watercolorists to create these pure white spaces within their projects. It’s difficult to hide or change a brushstroke error as the paper grabs it quickly by its highly absorbent nature. You’d peel off the dry masking fluid areas to reveal a pristine white area upon completion. You CAN attempt to create transparent washes with gouache, but they will dry quickly and not spread out as much. Light to dark, or dark to light transitions are more easily done in gouache. 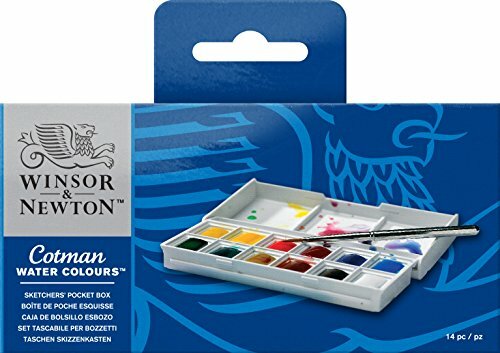 This makes it good for building up layers, as you can with professional acrylics. Also, I want to point out that if you’re ever seen a set of both mediums up close, white is unheard of with watercolors. The way they flow when in use, it is important to use masking fluid over areas that need to remain white indefinitely. 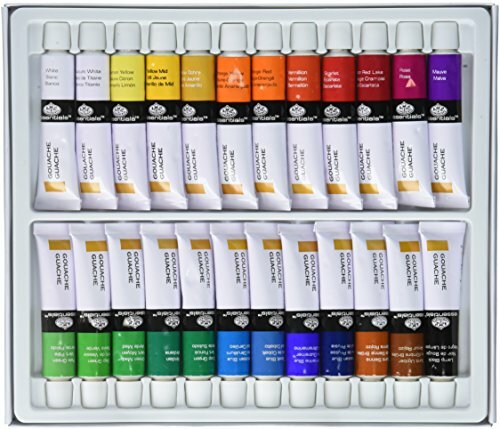 With a set of gouaches you will find white and you can apply it when working with layers. That’s one thing I remember most when I first started learning to paint with watercolors – they could be unforgiving if you messed up! Even though you could get some beautiful color washes, they required some real delicacy to get there. In some ways the two mediums above are very different than acrylics and oils, so it’s a whole different ball game, learning the techniques. I strongly urge you to consider both of these mediums. I kind of think that gouache is under-represented at times, but you might just surprise yourself!